Consuelo Mack, in a recent edition of Wealthtrack, re-broadcast a classic interview from 2006 featuring the late Peter Bernstein and Charles Ellis. Bernstein was an economist, an expert on risk, and the author of several books including Against the Gods: The Remarkable Story of Risk . Ellis had written several books including Winning the Loser’s Game, Fifth Edition: Timeless Strategies for Successful Investing . Bernstein said he believed passionately in diversification, or having a little bit of everything. He said the U. S. was “very well worked over” as an investment opportunity and investors should look overseas for opportunities to diversify. He said exciting things were happening in the emerging markets and even Europe. He added that European productivity growth was as good as the U. S., but they were giving the gains away to the social safety net instead of growing their businesses. He believed Japan was coming out of their doldrums. 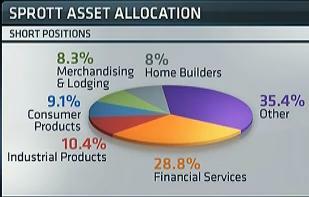 Bernstein said you weren’t diversified if you were comfortable with everything you owned. He gave the examples of an investor in New York buying ConEd or a Californian investor buying a local utility. He reiterated that going outside the U. S. was very important. He said he would have no more than 50% of his assets in U. S. stocks and bonds. Bernstein felt the best way to achieve diversification was through funds as opposed to buying individual stocks. Bernstein said dividends matter to investment returns. He said they were “cash in your pocket” and with the “hanky panky” going on with earnings, dividends were still important even though they were lower than their historical rate. He added that the tax rate on dividends of 15% was attractive and since the payout ratio was historically low, payouts would probably rise faster than earnings. The interview continued with Bernstein commenting on management’s use of cash hoards and how they’re more disciplined when there isn’t much cash available. Mack also questioned him on his essential optimism. 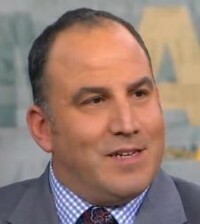 In Mack’s interview of Charles Ellis he discussed how investors can win at the “losers game” by investing in sensible index funds instead of actively managed funds given the established data (general underperformance over long periods of time and tax inefficiency), and getting the asset mix (allocation) right.